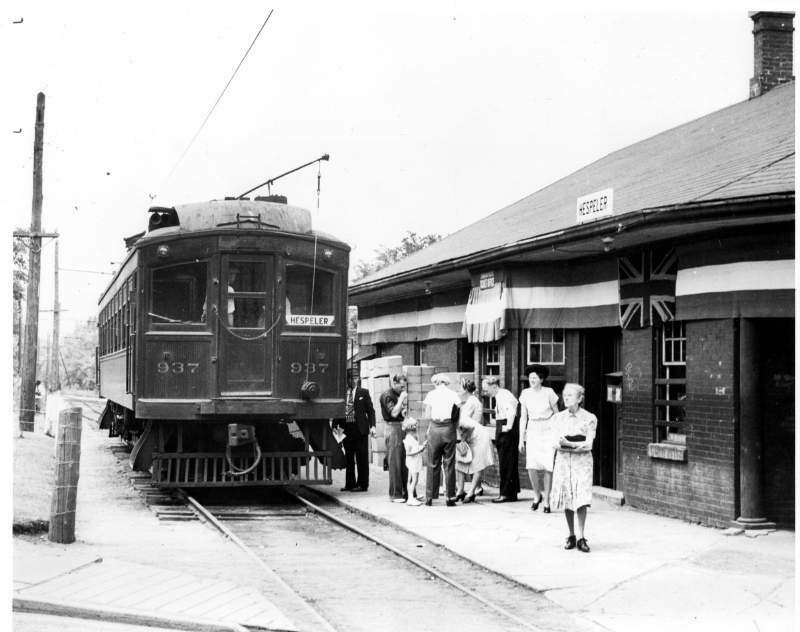 The Galt, Preston & Hespeler Railway built a station in Hespeler in 1896. The interurban electric line carried passengers and freight til the service was ended in 1956. To read an excellent history on the line you should purchase or go to your library and get Traction on the Grand by John Mills. Here is a good photo below of the station in 1946. 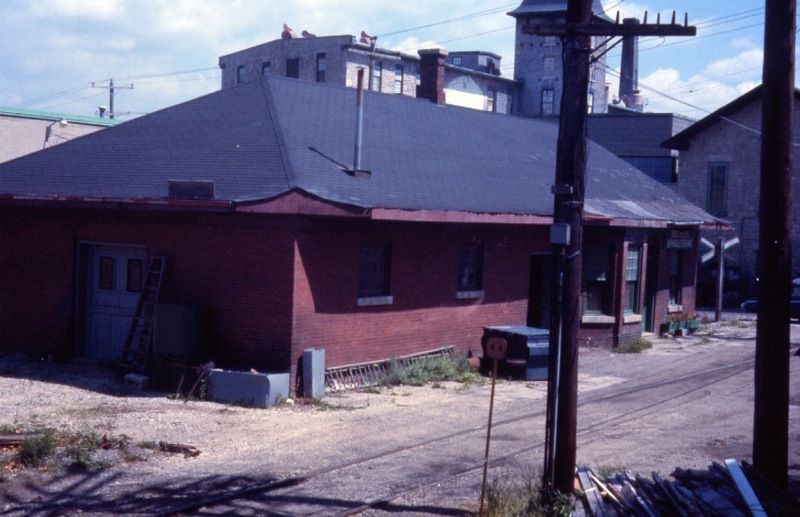 The Historic Sites and Moments Board did a heritage assessment of the station in late 1989. Here is the LINK so everyone can read it. 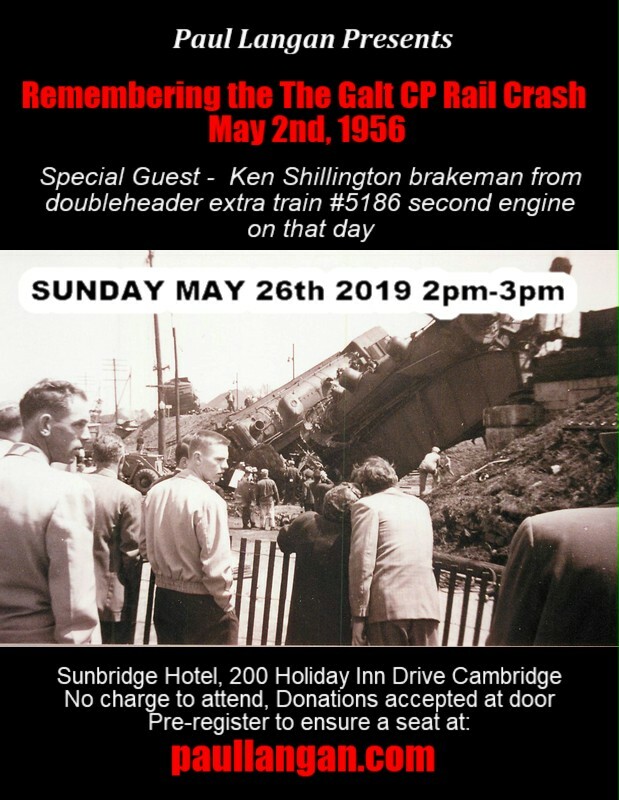 Unfortunately at that time and when I moved to the community in 1994, nobody in Hespeler or at the City of Cambridge had shown any interest in their railway history. In fact locals had set fire to the station. In 1988, the CP Railway who owned the station applied to remove it. A CP rail crew came from out of town and leveled the building. If anyone walks behind Ernies parkinglot you will see where the station was. The roadbed of the of the former line stopped just over the tracks at the former American Standard plant. You can walk west towards Lens Mills on what was that railline.